Bicoastal independent promotional company DC to BC has announced the 5th annual Trillectro Music Festival will return to the historic, award-winning Merriweather Post Pavilion in Columbia, Md. on August 27. Early Bird general admission and VIP tickets are on sale now through ticketfly.com and are available at the Merriweather, 9:30 Club and Lincoln Theatre during normal box office hours. Trillectro is a one-day music festival originally conceived in the nation’s capital to appeal to the evolving contemporary hip-hop and electronic music audience. The festival has grown into the East Coast’s premier boutique counter-culture festival, quickly becoming a cultural destination and electric attraction for music lovers from across the United States. In 2015, after three years of continued growth in attendance, Trillectro founders and organizers made the strategic move to relocate the festival to Merriweather Post Pavilion, partnering with renowned independent promoters I.M.P. for the festival’s most successful edition to date. With the return to Merriweather, Trillectro celebrates its special 5th anniversary milestone year with an eclectic lineup of genre-bending, world-class and emerging talent and continues its legacy as an iconic staple of boutique American music festivals. 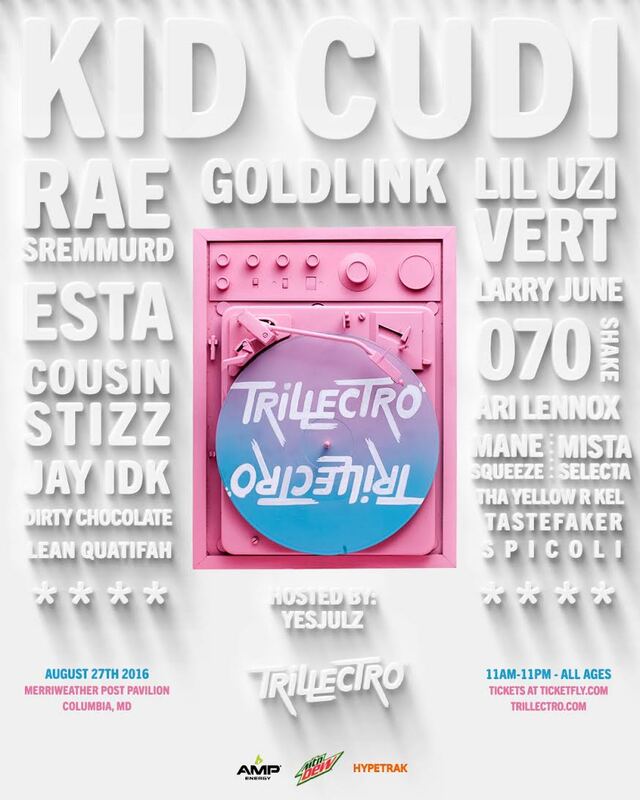 TRILLECTRO is a combination of “trill” (popularized by southern hip-hop legend Bun B, meaning “authentic” in hip-hop circles) and “electro” (short for “electronic”), embodying the festival’s credo. Though hip-hop and electronic music may bring to mind separate, distinct experiences, Trillectro is the sweet spot where cultures converge. The fifth annual Trillectro Music Festival continues where the historical inaugural event left off, bridging the culture gap between various music genres.